EXCLUDE PR, HAWAII, ALASKA,GUAM . L Cold and warm, fast cooling. l C ar refrigerator can achieve the function of heating. In the case of power failure, as long as you do not open the lid, the hot food can be kept 2-4 hours. 1 x Refrigerator. W10190965, 4317943, 106 626636, 626633. If other options are needed, shut off arm & wiring harness is swappable from yours if you wish or need. 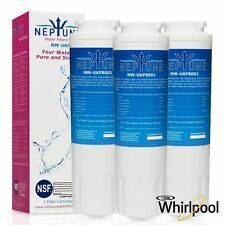 Replacement DA29-00020B Water Filter for Samsung, Kenmore Refrigerators. 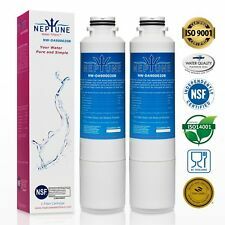 Water Filter for DA29-00020B. 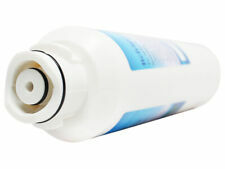 Water Filter for DA29-00020B. 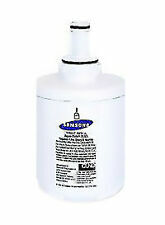 ThisWater Filter for DA29-00020B is compatible with the original. Replaces existing ice maker only. UL Listed. ERP Ice Maker number WIM. Replaces specific 8-cube Whirlpool(R) modular ice makers;. Product TypeIceMaker. GC5THEXNS02 GC5THEXNS03 GC5THEXNT00 GC5THEXNT01. GC5THEXNQ02 GC5THEXNQ03 GC5THEXNS00 GC5THEXNS01. GC5THEXNB02 GC5THEXNB03 GC5THEXNQ00 GC5THEXNQ01. GC5SHEXNT04 GC5SHEXNT05 GC5THEXNB00 GC5THEXNB01. GC5SHEXNT00 GC5SHEXNT01 GC5SHEXNT02 GC5SHEXNT03. Trending at C $378.47eBay determines this price through a machine-learned model of the product's sale prices within the last 90 days. Alternate Part Numbers :176272, 2790072, 46-9690, 469690, 6523393, 7364289S, 795.7205, 79572032110, ADQ36006101, ADQ36006101-S, ADQ36006101S, ADQ36006102, ADQ36006102-S, ADQ36006102S, EFF-6032A, FML-3, FML3, HDX-FML-3, KENMORE-46-9690, KENMORE-469690, LT700P, LFX31925ST, LFX31945ST, LFX25978ST, LFX25991ST, LFX28978ST, LFX31925, LFX31925SW, LFX33975ST, LGEADQ36006101, LMX31985ST, PD00001835, RFC1200A, RWF-1052, RWF1052, SGF-LA07, SGFLA07, WSL-3, WSL3. PC USB Mini Refrigerator Fridge Beverage Dr Can Cooler WarmerNovel mini USB refrigerator can snugly fit a single can of beverage. The USB fridge will not only cool your dr down, but can also heat it up. Compact and portable USB refrigerator can be used in your cubicle, home, office, bedroom or garage. Overall Size (L x W x H): Approx. 3.5 x 3.1 x 7.6 inchInternal Size (W x H x Depth): Approx. 3.1 x 5.5 x 2.8 inch Cable Length: Approx. 44 inchSwitch Control: "I" for heating, "II" for cooling, O for offWorking Voltage: 5V DC Max. Power Consumption: 10WTemperature Range: 8-9℃ for cooling; 40-65℃ for heatingMaterial: PlasticColor: Black and greyPackage Includes:1x USB Refrigerator1x Instruction Sheet Brand Unbranded MPN Does not a. 1 x Refrigerator Thermostat. Wire Length: 850mm. Detail Image. USA, Canada, United Kingdom, Austrilia, France, Germany, Spain, Ireland, Italy, Others. Canada, United Kingdom, Austrilia, France, Germany, Spain, Ireland, Italy, Others. Handle Size: 16-3/4" x 1". Wear work gloves to protect your hands when installing this part. Let us know if there is anything we can do for you. Fits Bosch refrigerator models that use a long and round water filter. Filter Life (Months):18 months. Flow Rate GPM:0.5 - 1.0. Tier1 Model Number: RWF1110. Alternate Part Numbers: 176272, 2790072, 46-9690, 469690, 6523393, 7364289S, 795.7205, 79572032110, ADQ36006101, ADQ36006101-S, ADQ36006101S, ADQ36006102, ADQ36006102-S, ADQ36006102S, EFF-6032A, FML-3, FML3, HDX-FML-3, KENMORE-46-9690, KENMORE-469690, LT700P, LFX31925ST, LFX31945ST, LFX25978ST, LFX25991ST, LFX28978ST, LFX31925, LFX31925SW, LFX33975ST, LGEADQ36006101, LMX31985ST, PD00001835, RFC1200A, RWF-1052, RWF1052, SGF-LA07, SGFLA07, WSL-3, WSL3. 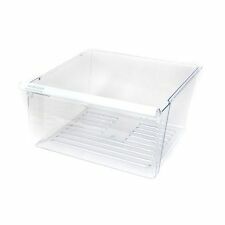 This 240351061 crisper drawer is for refrigerators. Follow the instructions in the owner's manual when installing this part. Not sure if this will fit your appliance?. Refrigerator Start Relay PTC for QP-2-4.7 4.7 Ohm 3 Pin Vissani Danby Compressor. Refrigerator Start Relay PTC for QP-2-4.7 4.7 Ohm 3 Pin Vissani Danby Compressor. 1 QP2-4.7 3Pin Start Relay. Resistance: 4.7 Ohm. This is designed to fit specific Whirlpool manufactured refrigerator models including Kitchenaid, Roper, Estate, Kirkland and Kenmore. It has 3 water lines that attach to it, 1 inlet & 2 outlets. This Ice-maker Water Fill Valve is a Double Coil Valve designed to replace "in the grill filter" water valves. HINGES FOR FRIDGE - LIEBHERR 9590190. 9590190 new version, are wider than old ones, DIFFERENT FORM old ones. 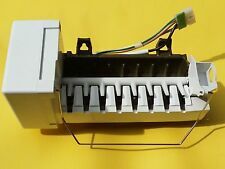 D7824706Q Refrigerator Icemaker for Whirlpool Kenmore Kirkland Roper 106. D7824706Q and R0156806, 61005508. The Cord is not included with this icemaker. The cord can be removed from your old icemaker and reused on this one. 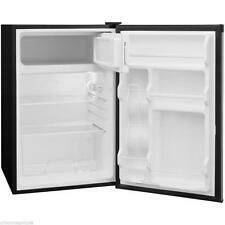 Universal Moduler Icemaker. Send us your refrigerator model number and we will verify if this is the correct fit for it. 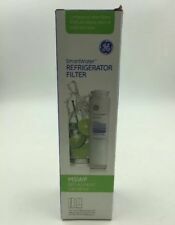 5 out of 5 stars - D7824706Q Refrigerator Icemaker for Whirlpool Kenmore Kirkland Roper 106. 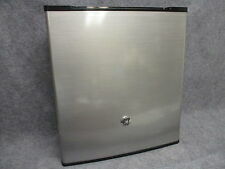 262 product ratings262 product ratings - D7824706Q Refrigerator Icemaker for Whirlpool Kenmore Kirkland Roper 106. Unique design, can let air actively pass through the filter and can get better air purification effect. Notes: The real color of the item may be slightly different from the pictures shown on website caused by many factors such as brightness of your monitor and light brightness. We will try our best to solve any problem. hope you can understand! (Model NO. : QDZH35G. 1) QDZH35G, DC series, use R134A refrigerant;. Refrigeration Temperature Scope: -18℃~10℃. Type: Compressor Car Refrigerator. electronic unit. Mount the electronic unit. on the compressor by snapping the cover over the screw head(1). 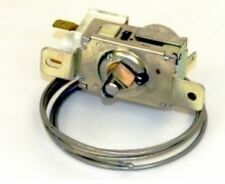 Evaporator Motor (WR60X10141,WR60X10046). For General Electric GE Hotpoint. 1x Evaporator Fan Motor. Motor Specs: 1 5/8" Shaft, Quick Disconnect. Motor Specs: 115v, 60hz. We will try our best to reduce the risk of the custom duties. OEM Quality. This part number has changed over the years. All Warranties require a model number and serial number off of the appliance they were installed on. 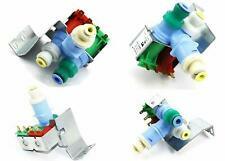 Refrigerator Ice and Water Inlet Solenoid Valve. Product TypeWater Solenoid Inlet Valve Pump. Manufacture Model Number Printed on Sticker of Valve is K-77198-AM. Robertshaw part number IMV-124. Product Details.